NEW YORK (WABC) -- Blazing. Laser-guided missiles. Only, they were baseballs. Pitches placed with sweet perfection for four innings. CC Sabathia was a one-man show in Game 5 against the Cleveland Indians. If Sabathia's momentum continues, Yankees fans have much reason for optimism heading into Game 1 against the Houston Astros in the American League Championship series. Sabathia's story is one of redemption, faith and personal triumph. Two years ago, there was a defining moment when he left the Yankees, missing the playoffs, to enter an alcohol treatment program. He walked away from the game he loved to get help for himself. 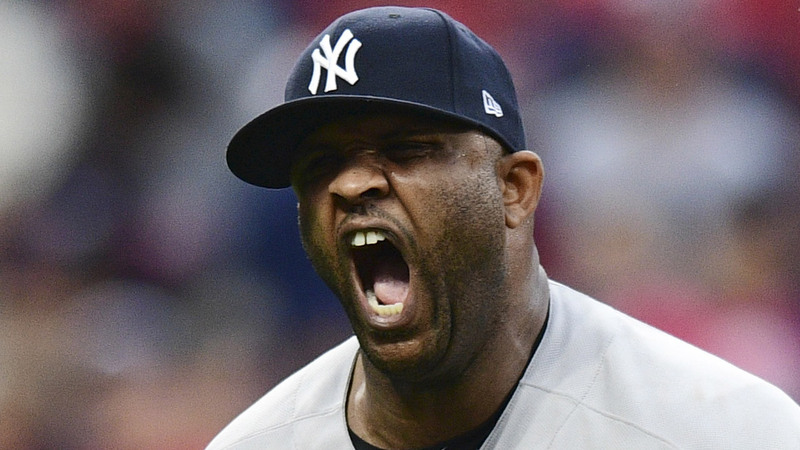 "I love baseball and I love my teammates like brothers," Sabathia said in October 2015. "I am also fully aware that I am leaving at a time when we should all be coming together for one last push toward the World Series. I owe it to myself and to my family to get myself right. I want to take control of my disease, and I want to be a better man, father and player." Fast forward to 2017, Sabathia's prophetic words could not ring more true. In Game 5, he controlled the mound like a maestro with his band of brothers rallying behind him. Remember that talk of a World Series in 2015? Everything is now in place for one last push toward the World Series. Redemption, how sweet it is. Game 1 against the Houston Astros is Friday in Houston.